Sent by a USAF Major. 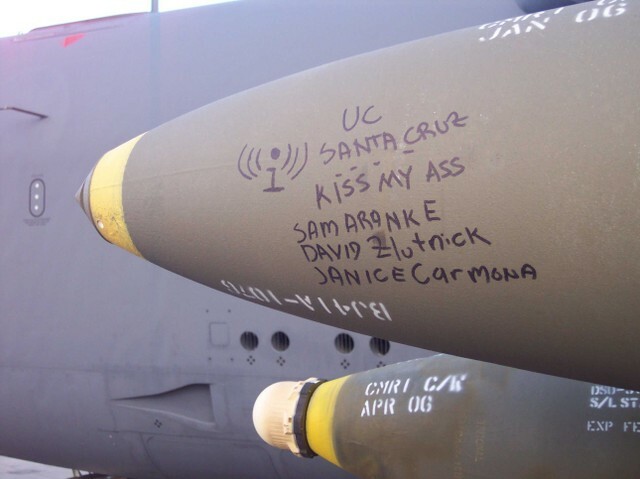 JDAM Graffiti. Instapundit and Michelle Malkin have more info about UCSC.